Strap in for an epic opera experience. 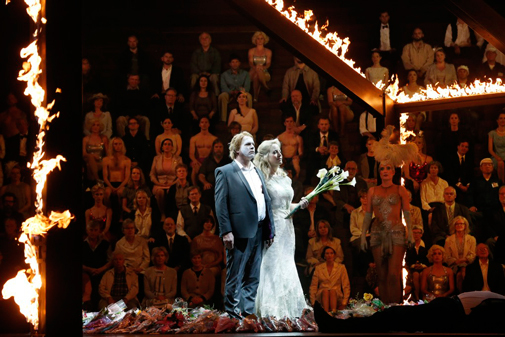 Opera Australia’s momentous production of Wagner’s Ring Cycle is a sequence of four works, each one a marvel of music, performance, direction, and artistic design. It offers sixteen hours of powerful storytelling through music, and leaves you wanting more. The story starts when a nasty dwarf steals gold from three water nymphs and uses it to forge a magical ring. What follows is a magnificent tale of gods, heroes, dragons, and giants, all who crave to behold the ring, which grants its bearer the power to rule the world and destroy the gods. We get to follow three generations of protagonists through Valhalla, on land, and under the earth, exploring the power of love, how it can lift us — and how, without it, we can turn into monsters. The Valkyries in Opera Australia’s 2016 production of Die Walküre. Wagner drew inspiration from many Norse and German myths and folk tales, writing the music and libretto over the course of around twenty-six years. He intended the works to be performed in series, as it was when first performed in 1876; but viewing any one of the four parts will be a heck of an experience. The Cycle begins with an impressive 136-bar, E-flat drone (a rumble in your bones) and builds to tremendous climaxes. There’s a beautiful ferocity and violence to the richly textured music, which grows in complexity throughout the Cycle, with seductive leitmotifs that will imprint on your memory. It’s played to perfection by the Melbourne Ring Orchestra, 135 musicians from Orchestra Victoria and eleven other national and international orchestras, including six harps and Wagner Tubas (an instrument created for the Ring Cycle). They’re led brilliantly by Finnish conductor Pietari Inkinen, who delivers the wondrous majesty of the music with sensitivity and passion. 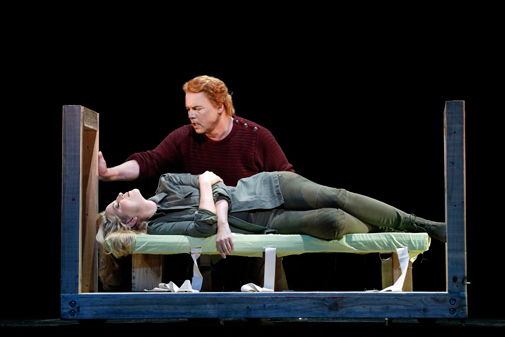 Lise Lindstrom as Brünnhilde and Stefan Vinke as Siegfried in Opera Australia’s 2016 production of Siegfried. The cast is spectacular, especially when you consider their numerous lines, which they sing in German while acting. Their voices do not falter one bit and their acting is superb. Of particular note is American soprano Lise Lindstrom as Brünnhilde – every time she takes the stage the audience inches slightly closer on their seats. Her voice and performance is electrifying. Warwick Fyfe is mesmerising as the evil dwarf Alberich. His vile, cunning, and pathetic portrayal brings the stage alive. Also outstanding are James Johnson as Wotan and Stefan Vinke as Siegfried. The lighting and sound do a brilliant job of maintaining the magic of the production, earning their places by setting the mood and atmosphere, and contributing to the overall fantasy. 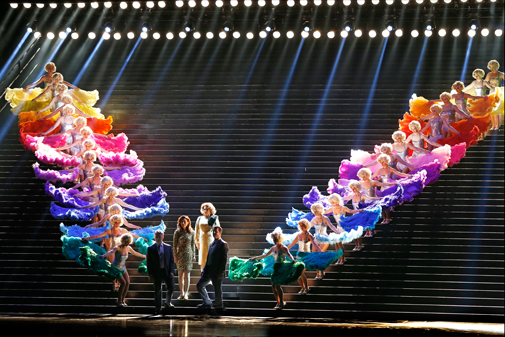 The stunning sets and rotating stage create dynamic scenes and the sense that we’re always moving forward. The costumes are carefully considered, using delicate contemporary touches while keeping the audience suspended in the Ring universe. Highlights include giants bursting through the landscape on cherry pickers; the iconic ride of the Valkyries, who descend from the ceiling and send fallen heroes back up; the innumerable scintillating duets; and Siegfried’s death and funeral march. Chances are you’ve already heard parts of the story and music, whether it’s Christoph Waltz’s explanation in Django Unchained, Hans Zimmer’s Ring-inspired music for Gladiator, or Elmer Fudd’s ‘Kill the Wabbit’ song. And if you’re a Lord of the Rings fan, many aspects of the story will be familiar, with Tolkien and Wagner having been influenced by many of the same legendary myths and tales. 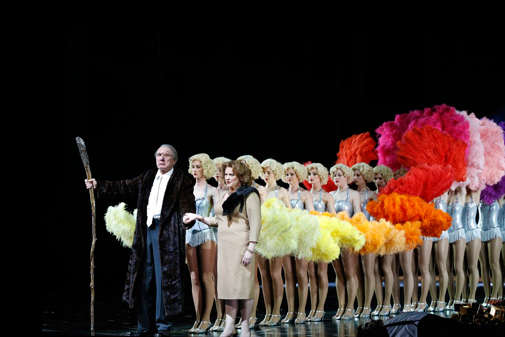 Stefan Vinke as Siegfried, Lise Londstrom as Brünnhilde and the Opera Australia Chorus and ensemble in Opera Australia’s production of Götterdämmerung. 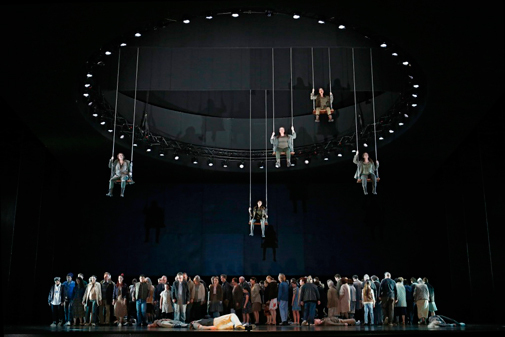 People often comment about how the entire Ring Cycle is long; but the story and music will undoubtedly captivate you. It’s an incredible achievement for Opera Australia and offers people a truly remarkable cultural experience. Sixteen hours? Pfft… I wanted more. But it ended as it should: the stage ablaze and a long standing ovation. The Ring Cycle will be performed three times at Arts Centre Melbourne between 21 November and 16 December 2016 (sung in German with English surtitles). Visit the Opera Australia website to book tickets. The venue is wheelchair accessible. 7. Some DON'T like it hot! Copyright © 2005-2018 Ara Sarafian. All Rights Reserved. Simple theme. Powered by Blogger.